1. 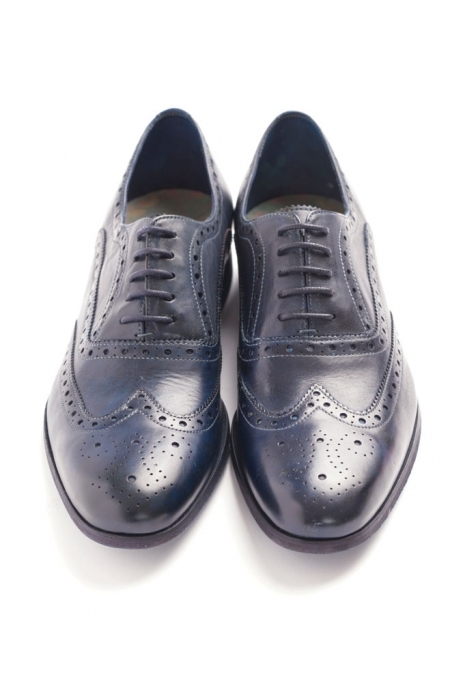 BLUE STREAK Take the classic wing tip oxford for an unexpected spin by opting for a deep electric blue color. the Terak by Ted Baker conveys seriousness with a dash of daring. $275 at Nordstrom. 2. POP STAR Up the ante with a pop of hand-painted, neon-colored soles. If the lime green version is a little too rad, no worries. 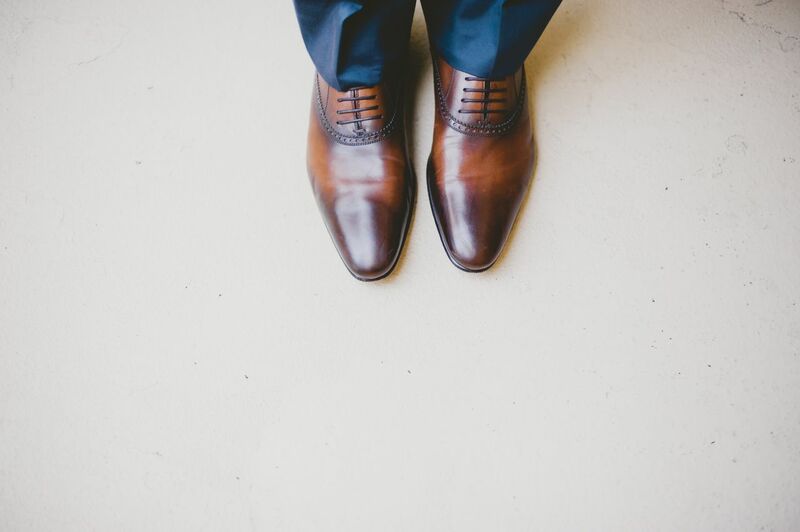 The Jim shoes are made to order, so pick your color and invest in these handcrafted leather wing tips designed by Los Angeles artisan George Esquivel. 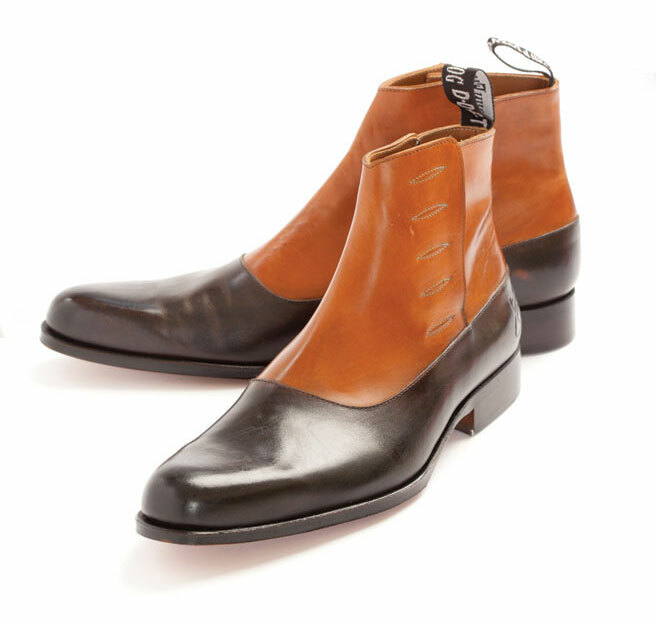 $900 at esquivelshoes.com. 3. 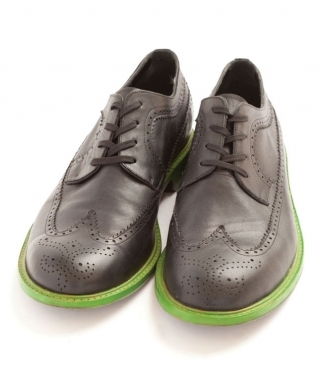 CREATURE OF COMFORT If your style is less formal but still edgy, then The Solis by Keep is the perfect choice. 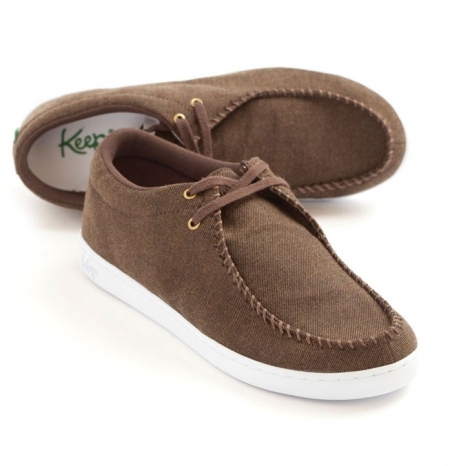 In soft, spun Japanese twill with a custom cup sole, these will guarantee comfort, but still maintain his fashion cred. $75 at Keep (West Hollywood, 523 N Fairfax Ave.; 323.655.1010). Hollywood, 7475 Melrose Ave.; 323.951.9555.